The diplomatic and political relationship between Cuba and the United States is now at the best point it has been for over fifty years. The Obama administration has fostered better relations between the two countries and the coldness from the cold war era is finally beginning to thaw. With the brokering work of Pope Francis and the work of many diplomats and politicians, new avenues of friendship are being opened between the Cuban and US American peoples. The good news for US citizens keen to explore their near neighbour is that is has become easier than ever to visit and explore the culture of this fascinating island. Rough times between the US and Cuba began with increased links between the Revolutionary government of Fidel Castro who took control of Cuba in 1959 and the Soviet Union. Of course, the Cold War put the US and the Soviet Union on opposite sides of a yawning gulf. While the US government initially recognised the Castro government, in spite of concerns about their ideology, growing trade links with the Soviet Union and moves to nationalise US business interests in the country meant that relations quickly soured. Fidel Castro's economic attacks on American business interests in Cuba led to retaliation by the US. Washington began by slashing Cuban sugar imports and, in a swiftly escalating economic battle, instituted a ban on almost all exports to Cuba. Finally, President Kennedy instituted a full economic embargo on Cuba that included stringent travel restrictions and in 1961 diplomatic ties were entirely severed between the two countries. Since the events of the 1960s, the US has consistently followed a path of economic and diplomatic isolation towards Cuba. This continued even after the fall of the Soviet Union. Now though, moves are being made on both sides to work towards a full reconciliation. The embargo may not be fully lifted until Cuba holds democratic elections and elects a government that does not include the Castros. Raul Castro has stated that he will be leaving office in 2018. There have been many obstacles in the path of the rapprochement between Cuba and the US but the last few years have seen some major steps forward. In 2014, President Obama and Raul Castro agreed to restore diplomatic links between their countries for the first time in over fifty years following the satisfactory conclusion of prisoner release negotiations. The US also agreed to ease some of the restrictions on travel, banking and remittances. The announcement of the prisoner swap and the restoration of diplomatic ties came after 18 months of secret negotiation between the two countries that were encouraged and aided by Pope Francis. From the beginning of 2015, new trade and travel regulations came into force which allowed US travellers to visit Cuba without the need for a government license and to purchase items to bring home with them. Airlines are now allowed to provide regular services to the country. 150,000 US citizens visited Cuba in 2015, up from 91,000 the year before. In early 2016 the trade and travel restrictions were relaxed a second time, though most agree that a full repeal of the sanctions and embargo is unlikely to be carried through any time soon. As of this writing, Congress is in charge of economic sanctions and does not seem likely to start the repeal process. In March 2016, President Obama visited Cuba - an historic move. This was the first visit by a sitting US president since Calvin Coolidge visited the country in 1928. While he continued to advocate for a lifting of the embargo, Obama emphasised the necessity of domestic change in Cuba while also making it a point to visit not only Raul Castro and his government but also with political dissidents. While there are some concerns over human rights in Cuba, there is a growing movement towards positive agreement between politicians. The divide between the two nations is gradually closing thanks to the co-operation, flexibility and pragmatism shown by those on both sides of the ideological divide that has kept these neighbouring nations apart for the last half-century. 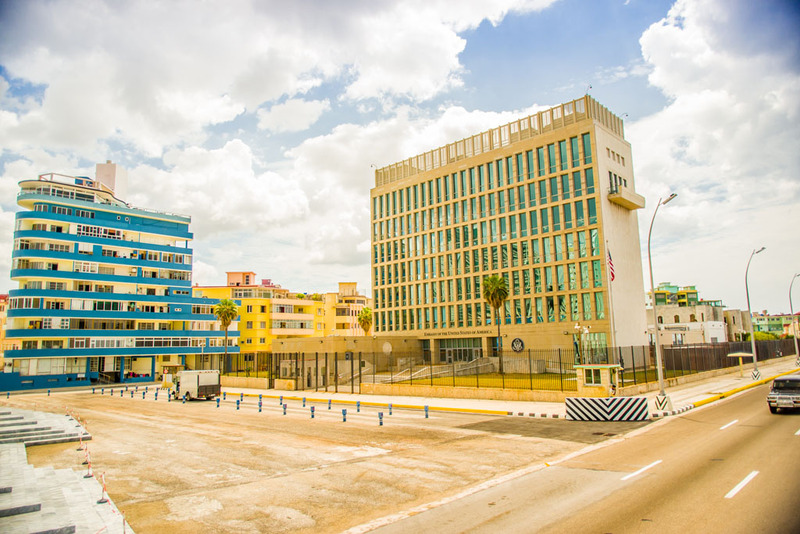 In spite of political reservations, the populations of both countries are generally in favour of normalising the travel and trade relations between Cuba and the US. While the economic embargo is unlikely to be lifted in its entirety any time soon due to strong opposition in the US Congress, there is a general consensus that things, both domestically in Cuba and in the relations between the countries, are moving in the right direction. With the way things are going, many are predicting that Cuba will become increasingly commercialised over the coming years and that political reforms will bring better lives for the Cuban people. One thing is clear, things are changing fast. Cubans are gaining more economic freedom and it is assumed that greater political freedoms will also soon follow. Many people want to see the 'old' Cuba and are feeling the urgency to visit this fascinating country and its people before they change beyond all recognition. This is perhaps the most fascinating time to visit the island nation and get to know its unique flair and charm.